Open to all dogs that have done a behavioural 121 by Anna at Widget's Farm or Kate Richardson. This course provides further set ups in a class environment to help with dogs that show anxious or frustrated behaviours on sight of other dogs or people. The Rehab classes are graded by levels which relates to the distance dogs will be worked at. Foundation dogs are worked at the greatest distance with distances reducing as the level increases. All rehab dogs will start at Foundation and progress to additional levels when agreed. The classes will give dogs new opportunities for exposure to triggers in a controlled environment to build apathy. Classes are small and students will be given training games in between the rehab content. 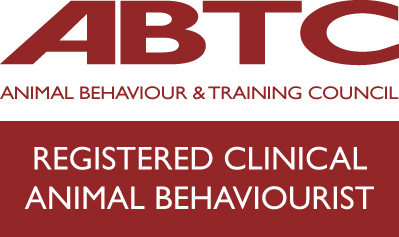 Widget's Farm is fully insured and Anna is a full member of the APBC, the IMDT and has a MSc in Clinical Animal Behaviour. Who: Dogs who have already undertaken a full behaviour assessment at Widget's Farm or through a suitably qualified behaviourist. If you are unsure if your dog is applicable, please contact Widget's Farm to check before booking. Please note: Training will take place outdoors depending on weather. The site has a certain level of disabled access however those with mobility problems should call beforehand to check suitability. Our normal booking T&Cs apply (see link on right hand side of webpages) and allow refunds up to 30 days before the course starts minus the cancellation fee.